Have you ever air fried vegetables? OMG I’m obsessed! I can get my kids to eat any veggie if I cook it in my air fryer. 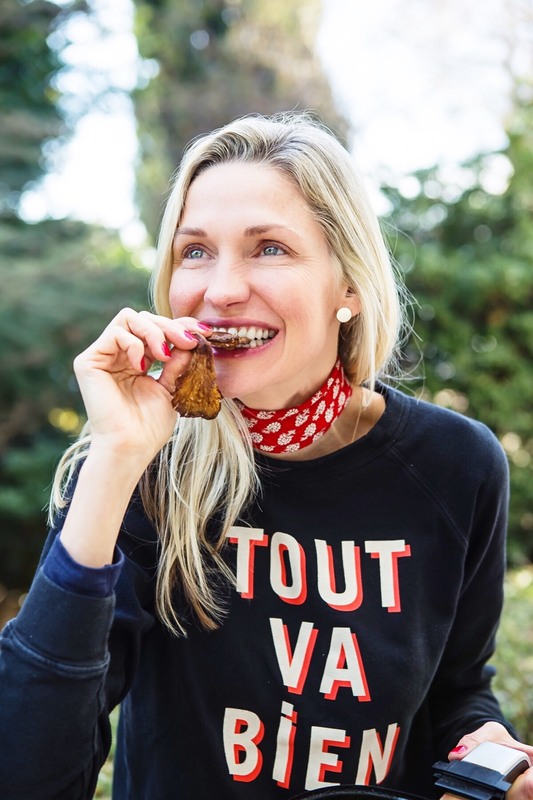 I’m giving my hubby credit for this one because he was the one to first make air fryer wild mushrooms that totally taste like vegan bacon. SUPER crispy, healthy and tons of umami flavor in every bite. I love serving mushrooms to Kenya since he is a vegetarian and this is one way I can ensure he is getting TONS of vitamins and minerals. 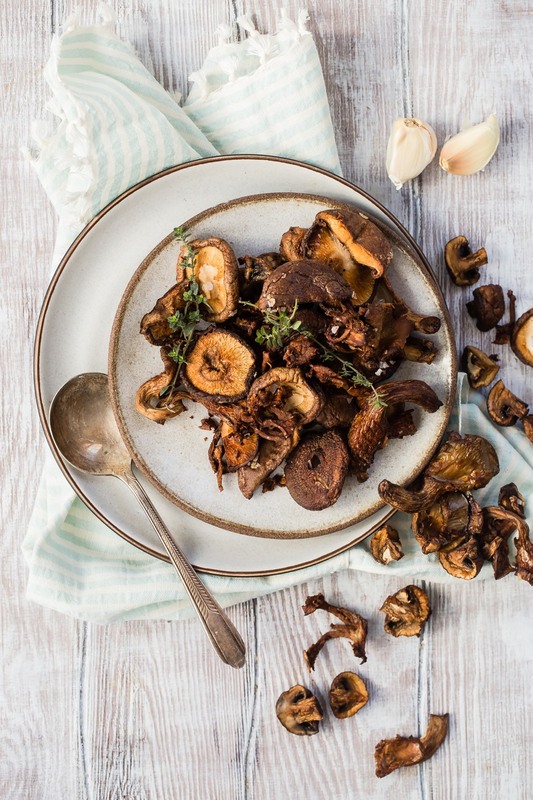 Wild mushrooms contain potassium, magnesium, zinc, and folate... just to name a few! 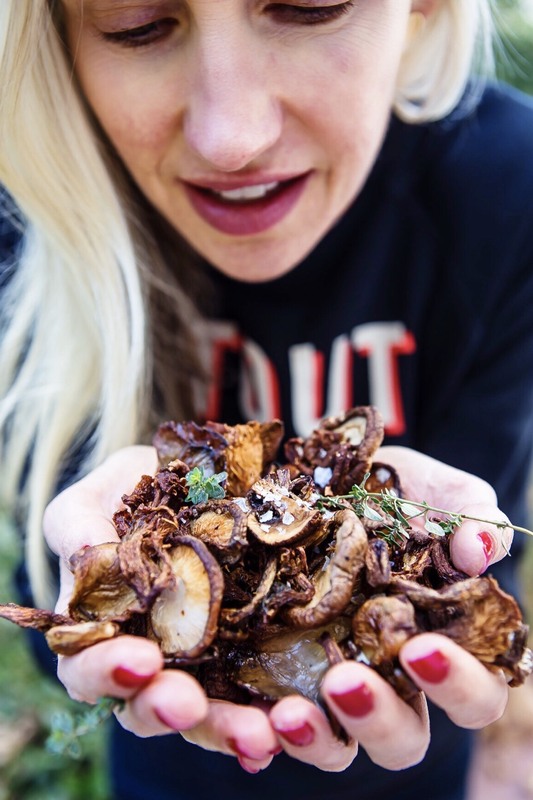 You can make this recipe with any variety of mushrooms you love. It works great with everything from portobello to shiitake to oyster. 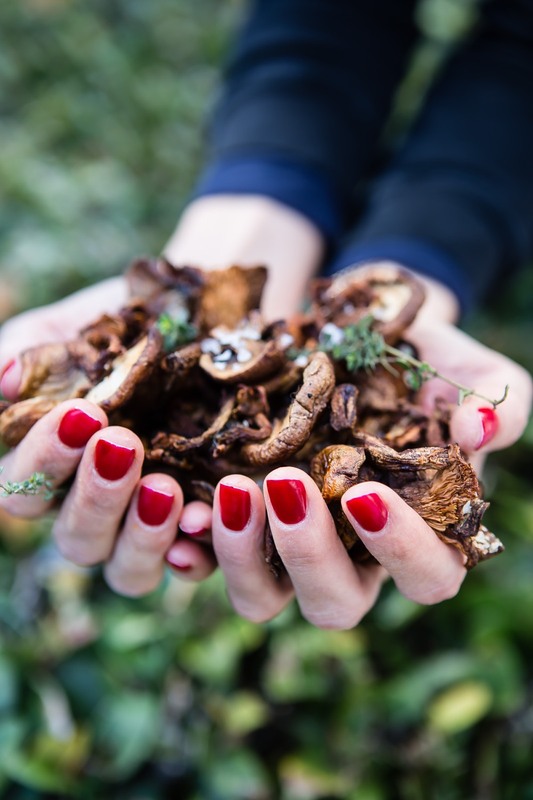 If you're not sure where to start with mushrooms, cremini and baby bella are easy to find. What is your favorite recipe to make in your air fryer? 1. Place all of the ingredients in a medium bowl and toss to combine. 2. 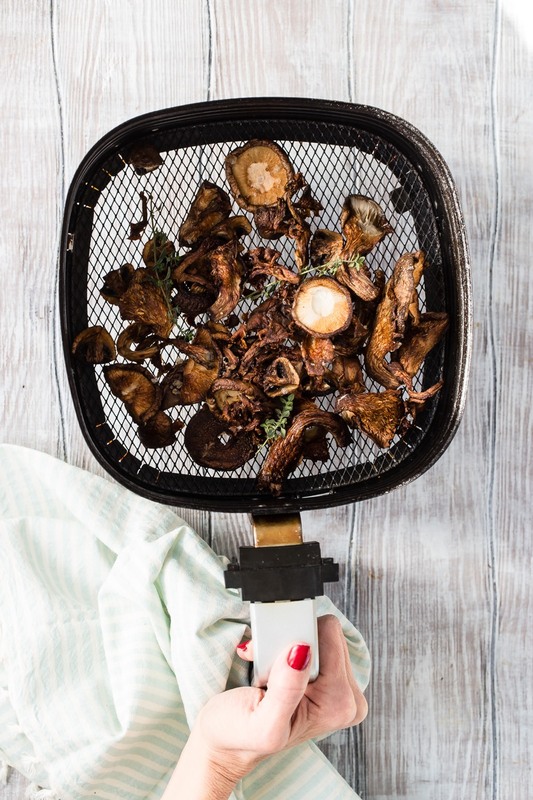 Place the mushrooms in the air fryer basket and cook on 350 degrees for 12 minutes or until edges of mushrooms are crispy.